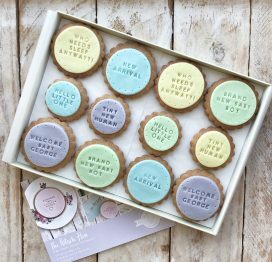 Celebrate a brand new arrival with some delicious edible treat for the family (and the stream of visitors!) 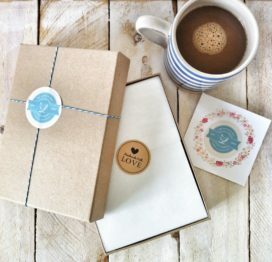 to enjoy. 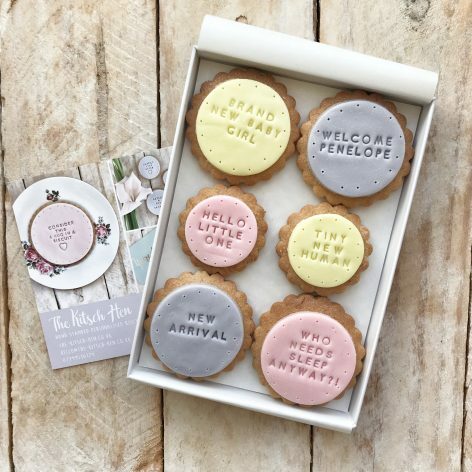 Our ‘Brand New Baby Girl’ biscuits are all handstamped with a special message (our favourite is the ‘sleep is totally overrated one – too true!) 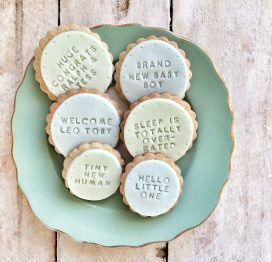 and includes a personalised biscuit welcoming the new arrival into the world. 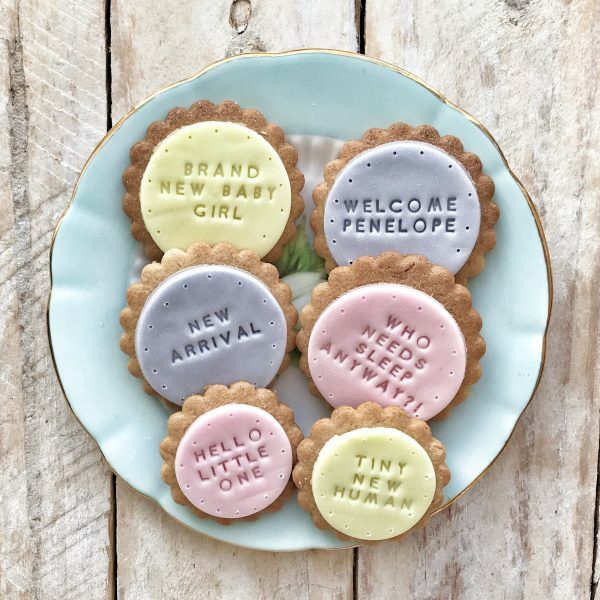 Please add her name in the personalisation box. 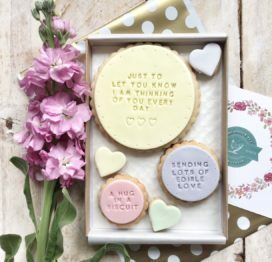 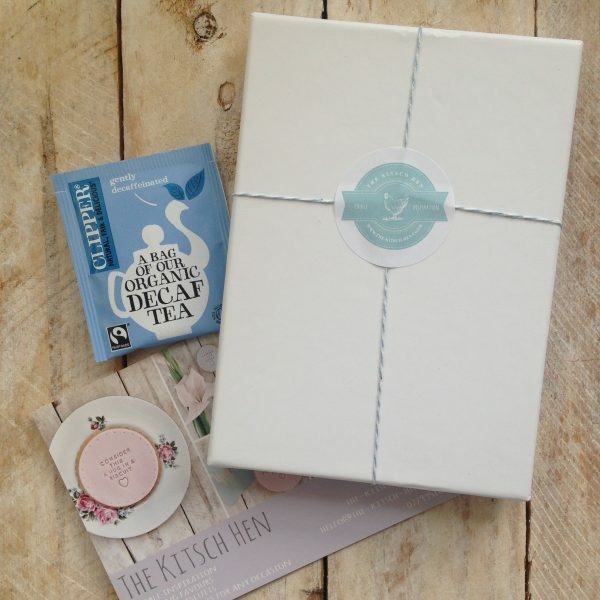 All our biscuits are presented in a gift box and can include a personal, handwritten message of up to 170 characters – please let us know what you would like us to write in the gift note box. 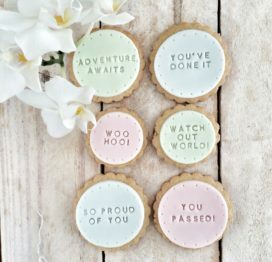 Includes 6 of our delicious vanilla biscuits. 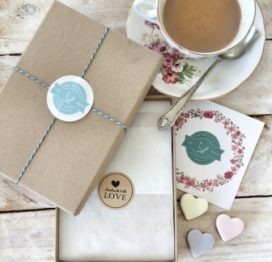 Not personal enough? Contact us if you’d like to create a bespoke order with personalised messages of your choice.